High blood pressure or hypertension is getting an epidemic health issue since the last few decades and its number is increasing rapidly with each year. Consistent high blood pressure can be chronic as it is the leading reason for heart diseases and stroke which are life-threatening concerns. However, with some natural methods to lower high blood pressure, you can reduce its risk. Your daily lifestyle and genetic factor play a vital role in developing this health concern which needs medications to deal with. However, the good news is that with some effective changes in lifestyle it can be controlled easily. A normal blood pressure of an adult person is 120/80 mmHg which can be considered good even it lies between 120/80-140/90 mmHg. However, as it is a little bit greater than the normal rate so a person with this rate of BP should try to reduce it. Natural methods or tips reduces or delays the necessity of medications for lowering high blood pressure. It will enable your body for the self-defense and by following them consistently you can ensure long living without any fear of health risks associated with high blood pressure issue. Over or excess body weight is the primary enemy of high plod pressure as it gives a clear invitation to this health issue. Overweight or obese people are more likely to be a victim of high blood pressure because it takes extra pressure to supply blood in the veins which increases pressure to a high rate. So if you want to get rid of this high blood pressure problem then you have to first work on your body weight if it is beyond the healthy rate. Take healthy and nutrient-rich diets and avoid those food products which are more likely to increase your fat and calorie. Initial stage prevention is good otherwise if the high blood pressure remains consistent for the long period then soon you become a victim of other life-threatening diseases such as diabetes, cardiovascular diseases and high level of cholesterol which are all gets a boost by overweight of body. Measure your current weight and prepare a proper weight reduction plan and follow it consistently until you manage to reduce your weight and blood pressure level. You will notice that even with a single pound reduction in weight will impact on your BP rate by making its curve down. Regarding weight loss for lowering blood pressure level, you need to be aware of one crucial thing and that is waistline weight management. Yes, above the fat of overall body it is the fat existing in the waistline that impacts a lot in increasing body weight. As per the health specialists in men waistline above 40 inches and women with the waistline greater than the 35 inches remains at the risk of developing high blood pressure. So your target should be to reduce your waistline if it is greater than this level. It is the sedentary living or lifestyle which is a vital factor in causing high blood pressure because it tends to reduce your metabolism rate which controls the overall functionality of the body. Hence your arteries have to put more pressure for blood circulation which affects the blood pressure rate by increasing it. So don’t live a sedentary life if you want to reduce your high blood pressures level desperately. It’s not that you have to spend several hours in exercise and other physical movements, only 30 to 40minutes of regular workout is enough to manage your blood pressure level. Aerobic exercises can help you in this regard which is quite easy to practice without putting much effort. Some effective aerobic movements that can help you in reducing your high blood pressure are walking, swimming, jogging, dancing and cycling. The intense form of exercise is also very effective in increasing your metabolism rate which will stimulate your blood flow hence the arteries will face less pressure in circulating blood to the heart which will smoothen the heart pumping rate with less pressure. However, like aerobic exercise, you don’t need to practice an intense form of workout like strength training, high grade of HIIT every day. Only two to three days of practice in a week is enough to bring a drastic reduction on your high level of blood pressure. Apart from these simple daily life activities and household chores are also very effective to keep your body mobile which will be helpful for you for reducing high blood pressure. Daily life works like using stairs, bike ride, walking, gardening, playing outdoor games can help you a lot in this regard. There is a direct connection between sodium intake and high blood pressure issue as this food particle in your regular meal impacts directly to raise your blood pressure level. So for reducing your BP level one prudent thing that you can do is to cut your sodium intake. Only 1 tablespoon of salt carries 2300mg of sodium so you can calculate easily that how much sodium you are having in one particular day. In general, a person can have 2300 mg or less sodium in a day. Still, if someone is taking a much lesser amount of it like 1500 mg or less then it is better for their health especially if someone has already developed high blood pressure health concern. If possible try to cut your sodium intake completely and use some other products for increasing taste of your regular meal. Use species and herbs to increase the taste of your meal which will help you to reduce your high BP drastically. However, if you cannot avoid sodium intake completely then try other methods that can help you to reduce your regular intake. Reduce the use of salt in food gradually until you reach a very low level comfortably. Apart from this avoid the consumption of processed foods which carry a high amount of sodium which is used during the processing time. Also if you buy any ready-made foods and beverages, read its ingredient detail to understand its actual sodium content. Only prefers to buy low sodium foods and beverages. A healthy diet is the ultimate natural solution to control and handle any type of health issue and that is applicable for high blood pressure health concern too. With some healthy changes in your regular diet, you can improve your lifestyle and can manage to lower your increased BP. A proper eating plan that tends to reduce the level of high blood pressure is known as Dietary Approaches to Stop Hypertension or DASH. Diets that can prove helpful in your way include fresh fruits, vegetables, whole grains, low-fat dairy products, etc. Leaving an old diet plan suddenly would not be so easy for you however with some smart tricks you can manage to include this new and healthy diet plan slowly and gradually. Monitor your improvement chart in a diary that you are getting after including this new diet plan in your regular life. Within one week of consistently following this revised diet plan, you can experience a noticeable reduction in your high blood pressure level. Whether caffeine affects the blood pressure level or not is still a matter of debate and have not got any conclusion, still many circumstances and incidents indicate its impact on raising the level of blood pressure. Some researches say that people who consume caffeine on rare occasions have a risk of increasing their BP by 10 mm Hg. However, this impact is very low or almost null with the people who have caffeine-rich beverages regularly. In order to clarify whether the caffeine intake is impacting your blood pressure level or not you can check your BP level after 30 minutes of consuming any caffeine-rich drink. If you found that your BP has increased even slightly that means it is affecting you. So consult with the doctor regarding this and avoid the consumption of caffeine totally. With each puff of a cigarette, you increase your risk of raising blood pressure level as smoking habit directly impacts your blood pressure. So by quitting the smoking habit completely, you can reduce your blood pressure level to a great extent. People who smoke are the usual victim of this health concern. Apart from this smoking also increases the risk of heart-related health concern and cancer too which are the life-threatening diseases. So manage your high blood pressure by quitting smoke and ensure a long and healthy life. Consumption of alcoholic drink in the moderate amount is good for health as it has many beneficial features that stimulate your overall health moreover helps to reduce a high blood pressure level by 4 to 5 mm Hg. However, if you drink alcohol exceeding its moderate amount then you have to suffer from its negative impact which tends to raise the level of your blood pressure and also increases the risk for many life-threatening health concerns. For women one glass of alcohol intake in a day and for men 1 to 2 glasses of alcohol intake in a day is considered as moderate and healthy intake. Exceeding this limit even by a small amount starts showing its bad effects on health. Also, it reduces the effectiveness of medications for reducing high blood pressure. So for improving your existing health condition and leveling your blood pressure level at the appropriate rate, it is vital that your lowers your regular doses of alcohol intake. Potassium-rich foods intake counteracts for high blood pressure and helps to reduce its rate to the normal level very rapidly. Potassium is a vital mineral that you can easily avail in your regular meal plan. Some vital sources of potassium minerals include whole foods, leafy green vegetables, potatoes, sweet potatoes, tomatoes, avocados, bananas, melons, apricot, oranges, nuts, seeds, beans, low-fat milk, yogurt, etc. It helps to diminish the effect of sodium in your body and lowers the pressure of blood vessels by preventing the concern of narrow blood vessel which causes trouble in the swift flow of blood. Stress is one of the primary stimulant factors for increasing the rate of blood pressure in a rapid way. It has the capacity to exhibit its effect within a few minutes to an hour. So as much as possible avoid all stress causing factors in your life in order to reduce your high blood pressure naturally without any dependency on medications. 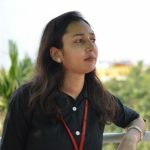 In this regard, you can take the help of stress bursting activities which are quite capable to divert your mind within a minute from stress bearing incidents and matters and can calm and provide peace to your mind. Try some enthusiastic games, talk with your dear ones or take the help of yoga and medication to cope up your stress level and manage your blood pressure on a healthy rate for living a healthy and peaceful life. Self-monitoring of your blood pressure level on a fixed interval can work as a precaution if you have not yet developed this health issue. Also if you have already a high blood pressure concern then it is very crucial that you keep a blood pressure monitoring instrument at your home for checking the daily progress. It will help you to check the effectiveness of all your endeavors and efforts that you are putting to reduce the level of your increased blood pressure. Also, visit your doctor from time to time for getting yourself aware of your current health status which is vital to avoid the complications. 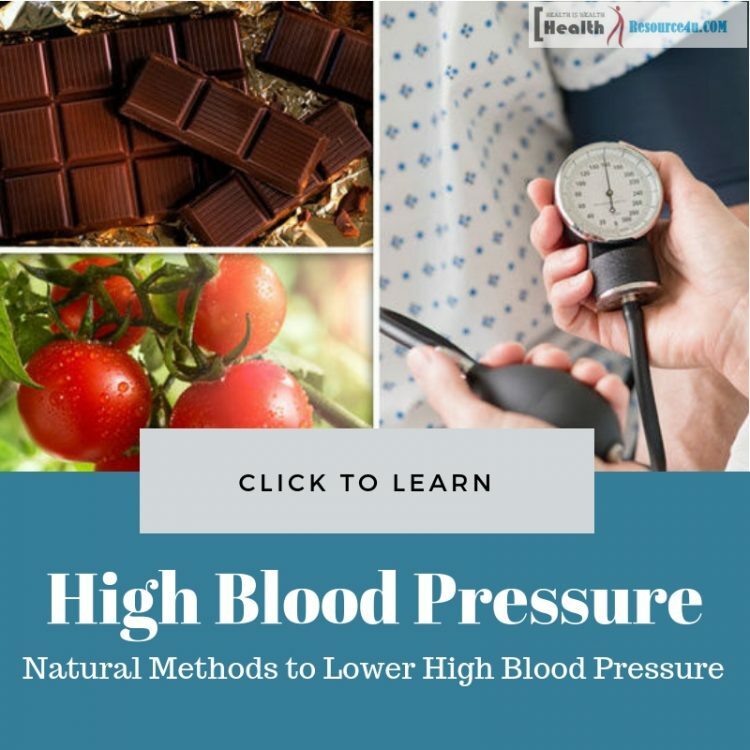 When you can manage and relive your high blood pressure health concern with some effective natural methods to lower high blood pressure then there is no meaning to look for a medical treatment option. So as soon as you diagnosed by this health concern try these healthy hacks to cope up this concern naturally and effectively without spending a lot on medical expenses.